Call us: (209) 551-1888, we're next to the post office on Sylvan Ave. Modesto CA. Disclaimer for Modesto Tummy Tuck FAQ: This is a general guide about tummy tuck / abdominoplasty for anyone considering tummy tuck surgeries. These Tummy Tuck frequently asked questions (FAQ) are in general not surgeon or location specific; however they are personally written by Dr. Tammy Wu, Modesto Plastic Surgeon. We hope that future patients and their families would benefit from these commonly asked questions. As a disclaimer, the below does not substitute for advice obtained personally from a plastic surgeon and a professional consultation. Keep in mind that surgery and medicine is as much an art as it is a science; therefore, individual surgeon's recommendations will vary. Please consult your physician to verify any of the facts and options below. Please visit our other Modesto Plastic Surgery websites. Why choose Dr. Tammy Wu for Tummy Tuck Plastic Surgery? Her consultation for tummy tuck surgery is detail oriented, it can last about 1 hour. This is direct one-on-one contact with Dr. Tammy Wu, the Plastic Surgeon. She is a top intellectual and extremely skilled with her dexterity, and is a perfectionist. She graduated number one from her medical school (Brown University, Ivy League), scored over 95th percentile on several national tests for plastic surgeons, and graduated from a top Plastic Surgery training program (Southern Illinois University), where graduates have become chairmen at Harvard University Programs and Presidents of the American Society of Plastic Surgeons. She is a gifted communicator. Language skills is her talent. 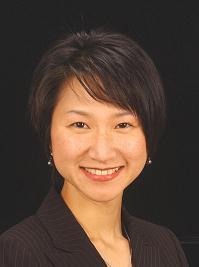 Besides being fluent in English, Chinese, and Taiwanese - Dr. Tammy Wu participated in a national French language competition (before medical school) and she placed 2nd in the United States for speaking French. She has also worked as a reporter for a radio station at Brown University. And currently she has been seen with multiple appearances on Modesto television stations discussing plastic surgery and body contouring / tummy tuck. She is a teacher: She is currently on the staff of UC Davis as a Volunteer Assistant Professor. She has also taught several rotating medical students, physician assistant students, and nursing students while working in Modesto. She runs a program called Surgical Artistry Academy which teaches the community about medicine in general and cosmetic surgery, including tummy tuck surgery. She is a musician and pianist: She is mainly self taught on the piano. It gives her a chance to improve on her dexterity skills which translate into extreme precision in the operating room when performing abdominoplastiess (tummy tuck surgeries). She is an active supporter of the performing arts, especially via the Modesto Symphony and Gallo Center for the Arts. She is an athlete: Formerly as a runner, she has won many races (mostly 5k's) in her age group. She has run 2 marathons in the past, several 10K's and half marathons. With her interest in athletics, she is well qualified to discuss any changes or concerns in abdominal muscles function with abdominoplasty (tummy tuck). She is experienced. See the next section on profile of Dr. Tammy Wu's practice. Emphasis on reducing pain: She has ready access to pain reducing techniques. Dr. Lee works in the office and routinely performs pain reducing acupuncture on many other patients. Dr. Wu's brother is an anesthesiologist in Los Angeles, and has given much advice on pain management during and after surgery. And she routinely uses long acting pain medicines (ie. marcaine in addition to lidocaine) injected into the surgical sites and at times will use pain pumps. She is a big proponent of using pain pumps for her patient's recovery after tummy tuck surgery. Partnership with a general surgeon: If you have a hernia such as an umbilical hernia or incisional (ventral) hernia. Dr. Calvin Lee who is part of Dr. Tammy Wu's practice can provide expert hernia repair at the same time as your tummy tuck surgery. Her tummy tuck surgeon's fee is competitively priced. Plus she has negotiated lowered rates at the hospital and with anesthesiologists. Her surgeon's fee for tummy tucks as of 10-23-07 (not including hospital or anesthesia or other implants): ranges from $3000 - $8000 (prices will change, please call our office: 209-551-1888, we can give you the ranges of the entire operation with pain pump included which currently ranges from $6500 to $10,000 - depending on type of tummy tuck required.) Consultations with Dr. Tammy Wu cost $200 and are applied towards the cost of the surgery. There are certain cost advantages to having your surgery done in the Central Valley, California rather than in more expensive coastal areas. She also does not mark up the cost of the pain pump nor does she mark up anesthesia or hospital fees. These are all "pass-thru" costs to her patients. Before and after pictures: Yes. Free viewing in the office. Not on websites for patient privacy. Call our office to make an appointment to see the tummy tuck before and after folder. A tummy tuck is surgery to flatten the abdomen by removing excess fat and skin and tightening the muscles of abdominal wall. There are several different versions of tummy tucks including the mini-tummy tuck. The tummy tuck that is right for you will be determined by your goals and your plastic surgeon. Tummy tuck surgery is also known as an abdominoplasty. How long does it take to perform the surgery? Will I be awake during surgery? What type of anesthetic is used for tummy tuck surgery? You will not be awake during your tummy tuck surgery; it is done under a general anesthetic. Will I have to stay the night in the hospital after tummy tuck surgery? Tummy tuck surgery is usually an outpatient (same day surgery) procedure. Occasionally, depending on individual circumstances and extent of surgery, a hospital stay may be necessary. Are there any side effects of tummy tuck surgery? Possible side effects include, but are not limited to, temporary pain, swelling, soreness, numbness of abdominal skin, bruising, tiredness for several weeks or months. What are the possible risks of tummy tuck surgery? The possible risks include, but are not limited to, infection, bleeding under the skin flap, poor healing resulting in conspicuous scarring or skin loss, need for a second operation, blood clots or stroke. How long will it take the scar to fade/flatten after tummy tuck surgery? It will take between 6 months to 2 years for the scar fade/flatten after tummy tuck surgery. Does Dr. Wu do liposuction at the same time as a tummy tuck? Definitely, however, not all patients are good candidates for liposuction at the same time as a tummy tuck. It depends on the patient and Dr. Wu will let you know during your consultation. Will I have drains after a tummy tuck? If so, for how long? Almost all patients that have a tummy tuck will have drains placed during the surgery. There is no set time for the drains to be in place. Patients that have drains placed during surgery must track the amount of fluid put out by the drain. When the amount of fluid put out by the drain falls below 30cc over a 24-hour period for 2 consecutive days, then the drains will be removed. How long will I have to wear the abdominal binder/compression garment? After a tummy tuck you will need to wear the abdominal binder/compression garment usually for 6 weeks after surgery. You will not be able to do any heavy lifting, sit-ups, or vigorous exercise during this time either. For people who have lost more than 100 pounds or so, the compression will need to be worn for a longer period of time. How long after surgery, can I resume sexual activity? You usually must wait 6 weeks after your surgery to engage in sexual activity. How long will I be off work after tummy tuck surgery? It depends on the type of work you do. If you have a job that does not require heavy lifting or standing for long periods, you can go back to work after 2 weeks. However, if your job does require heavy lifting or prolonged standing, you will be off work for usually 6 weeks. Usually within 2 weeks of surgery, you will be able to drive. However, it may be sooner or later than this amount of time, and you must be off all the prescription pain medications before you can drive. Can I combine other procedures at the same time? If you are interested in having additional procedures at the same time as your tummy tuck, make sure that you mention it to Dr. Wu. Dr. Wu will determine after a full evaluation whether those procedures can be done at the same time. What are some other resources on the web about Tummy Tucks? Any updates to your Tummy Tuck webpage? As a matter of fact, yes! Dr. Tammy Wu has written a brand new Tummy Tuck webpage in June 2012. Take a look here: Modesto Tummy Tuck Information - a new web page written by Dr. Wu herself. This page is written by Dr. Lee and her staff at Surgical Artistry, Modesto, CA. How do you suture the belly button? Are the sutures hidden inside the belly button or are they around it? Of all things, a freakish looking belly button is what scares me the most! Can I get pregnant after a tummy tuck surgery? How does pregnancy affect tummy tucks? How soon after pregnancy can I get a tummy tuck surgery? In general, we recommend that tummy tuck surgery be performed after one is done with pregnancy. Abdominoplasties (tummy tucks) not only shorten the trunk in a vertical fashion, it usually also involves a muscle tightening portion which tightens the belly in a horizontal (circumferential) vector. Having a baby causes both these vectors to loosen and can especially damage the sutures used in the muscle tightening portion of the tummy tuck. We have known some patients to unexpectedly become pregnant after a tummy tuck surgery. We understand that this can happen. In these cases, we would expect some laxity to occur in the abdominal wall. For some patients, they may need revision surgery to obtain that pre-pregancy appearance. Regarding timing after pregnancy. In general, we recommend about 3 months after one is done breast feeding. Breast feeding causes changes in a woman's hormones that affect the shape of the abdomen and affect the healing from tummy tuck surgery. How come you haven't updated your tummy tuck webpage? We make small changes here and there. We just haven't gotten many interesting questions I guess. We have made many changes to our Modesto Botox webpage and our usual Plastic Surgery Modesto webpage. Dr. Lee has since made a webpage on Cellulite Busting Machines - it's just a web page with information about cellulite (including the stages of cellulite), we don't own any of these machines or lasers. Should I keep a pillow under my knees after tummy tuck surgery? If so, for how long? This is what we tell our patients in our Modesto Plastic Surgery practice: Place a pillow under your knees when sleeping on your back in order to take the stress off of the surgical area for 2 weeks. After that one can start to sleep flat, allowing the area to stretch. Your plastic surgeon may have slightly different suggestions, please check with him or her. Keep sending us your tummy tuck questions! We won't publish all questions, we'll of course review and determine if they are appropriate for our tummy tuck web site. And we'll keep them anonymous if we share the questions and answers. You will get answers to your questions in your email, so you do not need to check back on this web site. Modesto Tummy Tuck is a web page created by the staff of Surgical Artistry based on answers to questions asked frequently (FAQ) of Dr. Tammy Wu, MD. Dr. Wu has a plastic surgery practice based in Modesto, CA. The web page begins by describing Dr. Tammy Wu and her credentials and expertise including number of plastic surgery cases performed per year which include tummy tuck surgeries. Also included is the cost of tummy tuck surgery. Note that tummy tuck pricing/costs are variable across the country. She specializes in many different areas of plastic surgery, but tummy tuck along with breast augmentation remain some of her most common surgeries. And the web page concludes with some recent questions that have been asked by entering questions through this website. Questions regarding tummy tuck include the new appearance of the belly button (umbilicus) and the timing of pregnancy with tummy tuck surgery. See the entry box below to ask your questions! Write to Us! Questions are welcome. This Tummy Tuck Modesto web page is part of a group of web pages describing the procedures performed by Dr. Tammy Wu, at Surgical Artistry, Modesto.